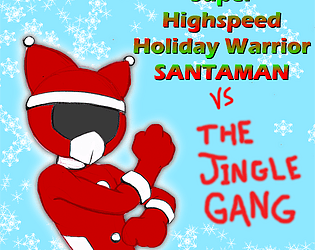 Super Highspeed Holiday Warrior Santaman vs the Jingle Gang is a Super sentai/Metal hero inspired beat em up. 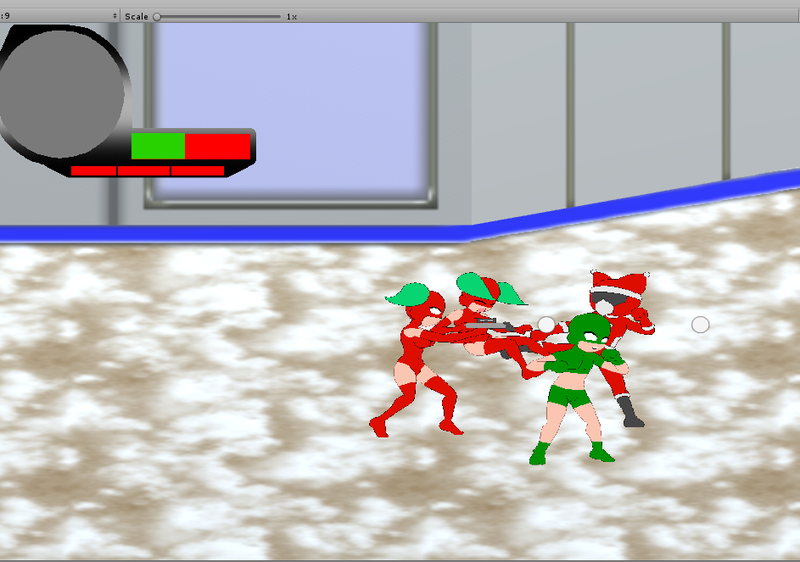 Punch and kick your way through the Jingle Gang and stop their boss Shade Noel as they wreak havoc on your small town. (Game's still in development so there will be bugs. I didn't get a chance to put in the intro btu that will be added in the next update along with bosses more enemies and special moves. Hope to see ya there. Thank you). Did you used any free external libaries? If yes, wich? Thanks for having me this jam it was really fun. Can't wait to do more, I can only go up from here.